I haven't made this dish in so long and you would have thought they had hit gold they were so excited about this. I held up my end of the promise and they feasted! Heat a couple of tablespoons of olive oil at a time in a heavy metal pan (you will need to add a couple every time you put chicken in the pan so how much you need depends on how big your pan is. Cut the chicken breasts in half crosswise to make them thinner. Season the chicken with garlic powder, onion powder, salt and pepper. In a bowl, mix the bread crumbs and the parmesan cheese. In a separate bowl, whisk the two eggs together. Next dip the chicken in the eggs and then in the bread crumb mixture to coat well. Place the coated chicken in the heated pan. Cook on both sides until browned on both sides. It will not be cooked through. Transfer to a parchment lined baking sheet and continue to do this with all of the chicken. Place the chicken in the oven and bake about 15 minutes or until chicken is just cooked through. Sprinkle the chicken with Daiya and then broil until browned on top. Serve over gluten free pasta and sauce. 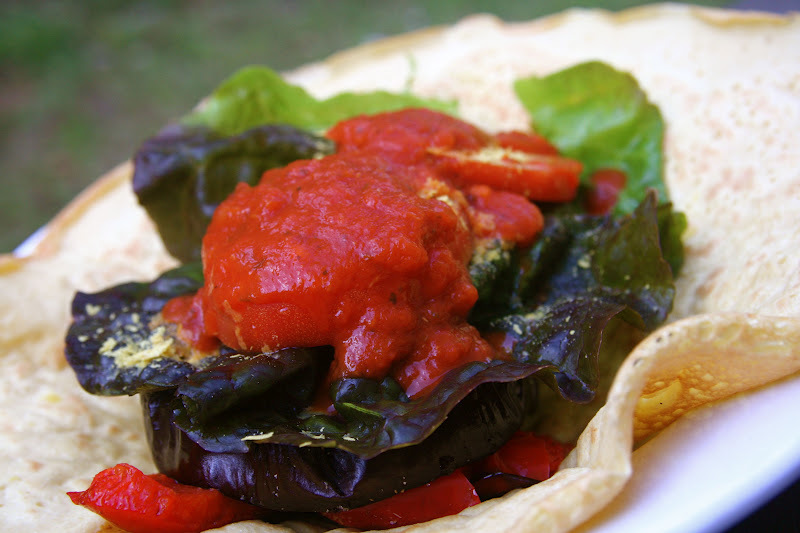 I roasted eggplant and peppers to have in my (overfilled) chickpea wraps! This completely hit the spot for me! I would say we started Monday off with a bang! 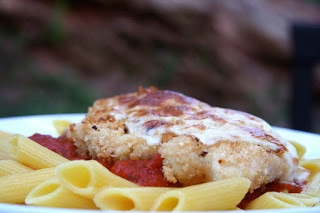 A version of eggplant parmesean was how I first tried eggplant. So. Good. I loooove topping my pasta with nutritional yeast! 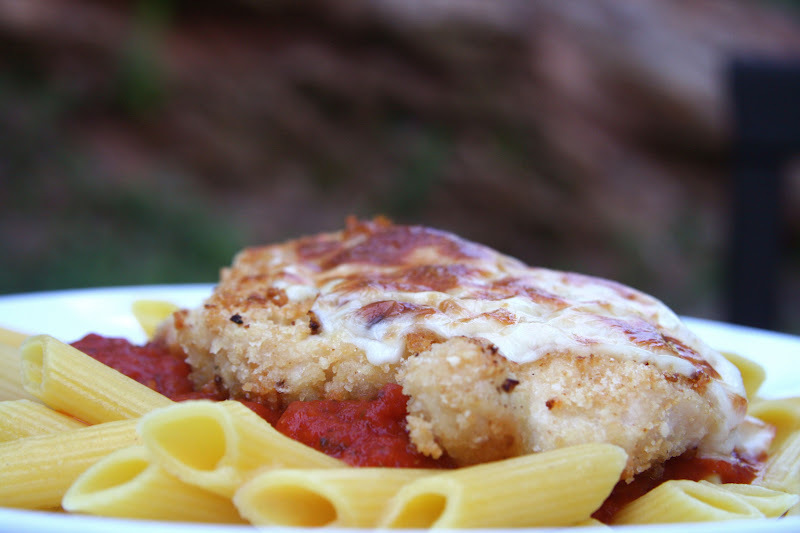 Chicken parm always reminds me of being a kid. My mom and sister would always get it when we went to the Olive Garden. Every single time. I can't help think about that when people talk about chicken parm!! MMMM I want your dish please! Love eggplants - just got ours started in the garden so it'll be a while. Hope to see the Japanese variety at the Farmer's Markets soon. I haven't had chicken parm in years! It sounds and looks so yummy. Thanks for the recipe...and the idea! Brilliant recipe!! Both menu items looks delicious. You need to open a dairy-free bistro! This is such a great recipe!I love eggplant, I haven't had it in a while, but this will change soon! eggplant is hearty to me than chicken. I love it. The hubs does not, so i am with you. Chicken for men, eggplant for the ladies.